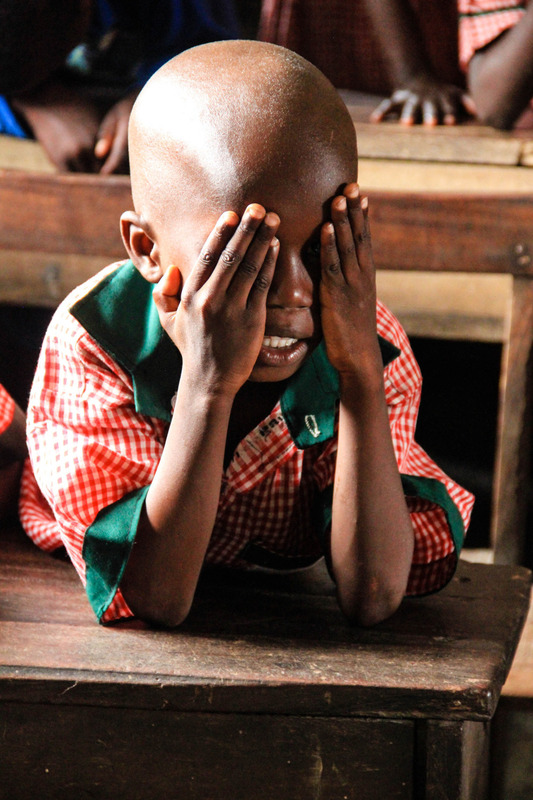 In our work in Africa, we talk a lot about having conviction to serve the most vulnerable children. We see a crisis, and hope people all over the world will respond with an understanding of the urgency needed. Nelson Mandela lived his life in response to an urgent need, to a crisis. His bold conviction challenged, and continues to challenge all of us to rid the world of suffering. Inequality and injustice were non-negotiable to him. They had to end, and he would not stop until they did. His passing leaves this challenge to our generation. How will we rid the world of suffering? How far will we go to live out our convictions? Look what happened when he laid his life down for what he believed in. Look, and act. The season of Advent begins today. As we prepare to celebrate the coming of Christ to us, we remember that we are called to visit others as Jesus visited us. At Hands at Work, the foundation of our care is holy home visits. Christa and Daytona, two of our international volunteers, explore how God has called us to wait on Him, serve the most vulnerable children, and keep our hearts focused on what the coming of Christ truly means. In the formative years of Hands at Work, a group of people joined together with a heart to care for the many patients dying of HIV and AIDS. 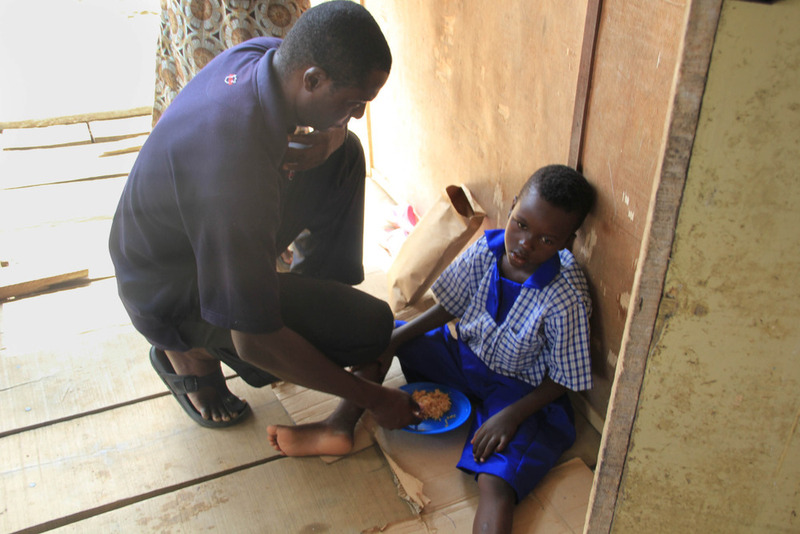 Through this time of visiting patients in their homes, another layer of need was discovered: the orphaned child. These children were wandering in the streets and hiding behind closed doors. They were the lost, the broken, and the abandoned. Having lost their families to HIV and AIDS, and with little to no support, they did not know where to turn or how to care for themselves. They had no voice and were slipping between the cracks. 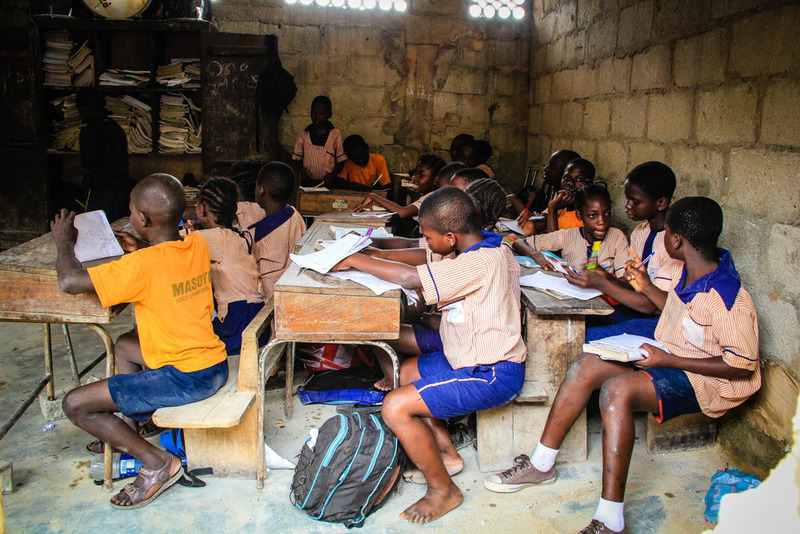 Hands at Work became attuned to the harsh reality these children were living in and knew they must act. 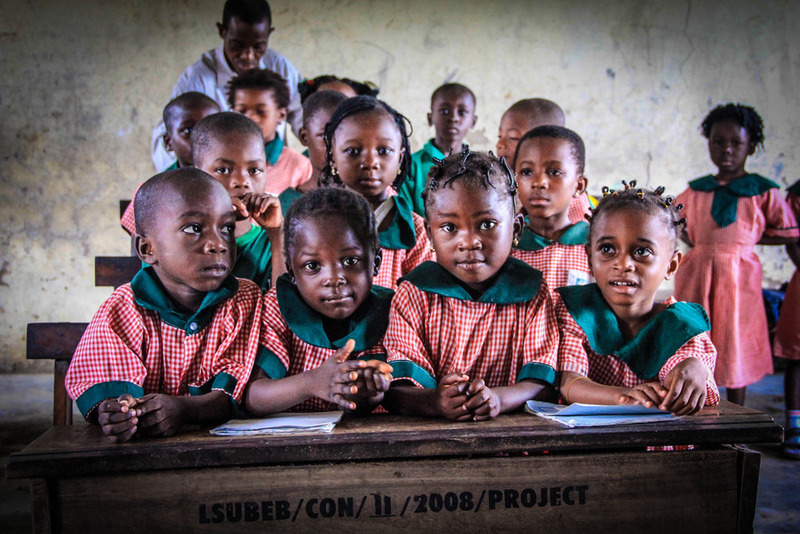 If they did not step in to support these children, where would their hope lie? In response to the cry of their hearts, Hands at Work entered into a season of committed prayer. The result was a deep conviction by God saying the way forward was to build personal relationships through home visits, being very intentional to seek out the most vulnerable children in their communities, those who otherwise might not be found. 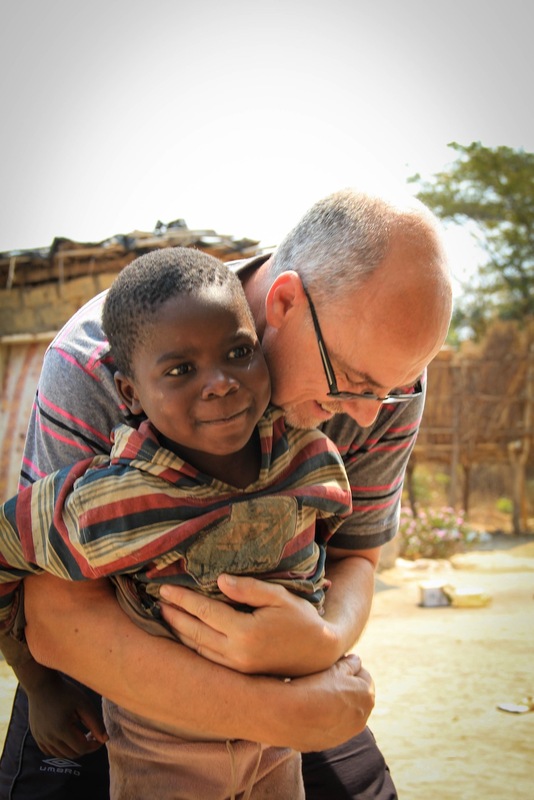 Visiting an orphaned child in their home is to act on behalf of the absent parent. During that visit, the opportunity is given to a child to put aside the stresses of home, of responsibility, and just be a child. Home visits demand time, and can only be effective with the right desire of heart: the choice to go, and the willingness to get to know the child’s name and story. A home visit is beneficial, not just in understanding the external needs, but in spending time to engage with a child’s hurting heart, therefore bringing value and worth into their soul. Home visits may carry a high personal cost of time, emotion, and energy. But like the gospel, they bring transformation. We know we have been adopted into Christ's family and we want to see the same realisation in our children. We cannot create a culture of changing lives through brief service. Change does not come quickly; it comes with time and commitment. Hands at Work is being reminded that the core of a home visit is in what Christ has done for us. He found us in our deepest time of need, visited us, invested in our lives, and renewed in us who we are. It is essential that during home visits, we wait. We wait for Christ to show up. We wait on His leading. We often wait even for the words to say. But we know that in our waiting, there is always something to come. We are expectant people. We do not put life on pause to wait, but we continue to wait, as we have for years - thousands of them. We wait patiently sometimes, and with desperation at other times. We are waiting on God. As the Israelites waited in Egypt for God to show up, we wait today. As the prophet Isaiah awaited the time when the Messiah would arrive, so we wait each year. And now we wait again, expectantly, during this advent season. We await the celebration of the nativity. Nativity is that incarnation - that coming - that we have been waiting patiently and desperately for, for so many years. Even as we are aware of the coming of the Messiah so long ago, we live in this tension of the now and that which is to come. There is an imminence that is felt and seen in the faithful practice of love. We see this evidence of the kingdom of God here and now, and yet we still wait for His presence in places where pain and poverty and death persist. Patiently and desperately, faithfully and hopefully we wait for God to show up. As we wait, life happens around us; with colour and vitality at times, but often just in the mundane. 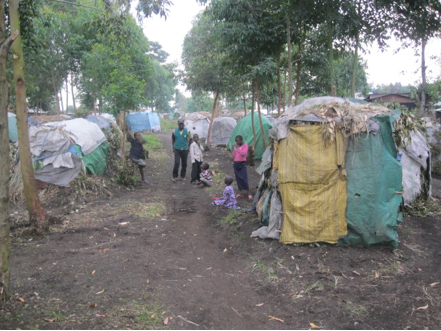 There are homes we enter that have mud and stick walls with sparse thatching on the roof, doing little to dissuade the torrential African rains. We sit with grandmothers who are struggling to find food for the children that have been left in their care. Sitting in those homes, doctrine and theology somehow lose their value. At that moment, when we sit amidst the pain, and see eyes of fear, and understand a little of what grieves the grandmother and what gives her life, we understand our dependence on the Messiah. We must wait. Together, humbly, we approach the throne and wait for God to "show up" for us. How can we do anything less? What could be better? To be in the presence of God together is what we long for. Do we not say, "OUR Father...Your name is Holy. Let your kingdom come here on Earth as it is in your perpetual presence"? We wait for the advent of our Lord, this Emmanuel. We do this faithfully and hopefully. Each year, the church enters this season as a symbol to keep the focus of the Messiah close to our hearts. December 1st, 2013 begins that season again. May we all experience the coming of Emmanuel this season and in each moment when we dare to approach God together, and wait. Hands at Work Founder and CEO, George Snyman, will be in the UK in November! We hope you can come out to one of the following events to hear him speak. 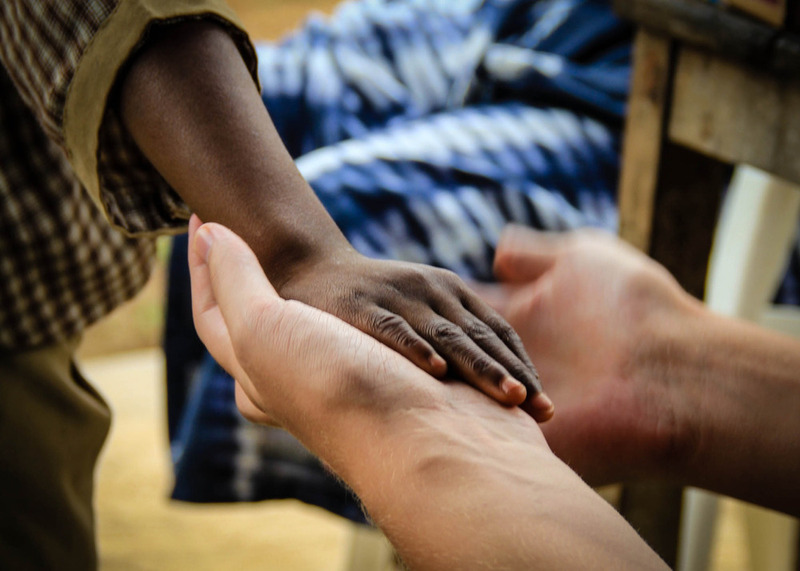 If you would like to know more about Hands at Work, volunteering on the ground in Africa, or God’s calling for His people to serve the poor, these events are an opportunity for you to learn more. George will be speaking to supporters and friends of Hands at Work and a team who visited Africa in 2013 will be sharing their stories. A shared meal will follow. Please contact rose@uk.handsatwork.org for details. An evening about the country of Swaziland: the need of the most vulnerable children and the opportunity for Hands at Work supporters in the UK to be a voice for the voiceless in this country. Contact 01543254110 for more details. We hope to see you at one of the events mentioned above! However, if you are unable to attend but would like to meet George, it may be possible to arrange a meeting that suits you better. Please note his location on each day and contact Rose at rose@uk.handsatwork.org and Nick at nick@uk.handsatwork.org to potentially arrange another meeting. Devon van Hoffen arrived in South Africa as part of Hands at Work’s September volunteer intake. From Canada, Devon has come to learn about Hands at Work, Africa, and God’s heart for the most vulnerable. 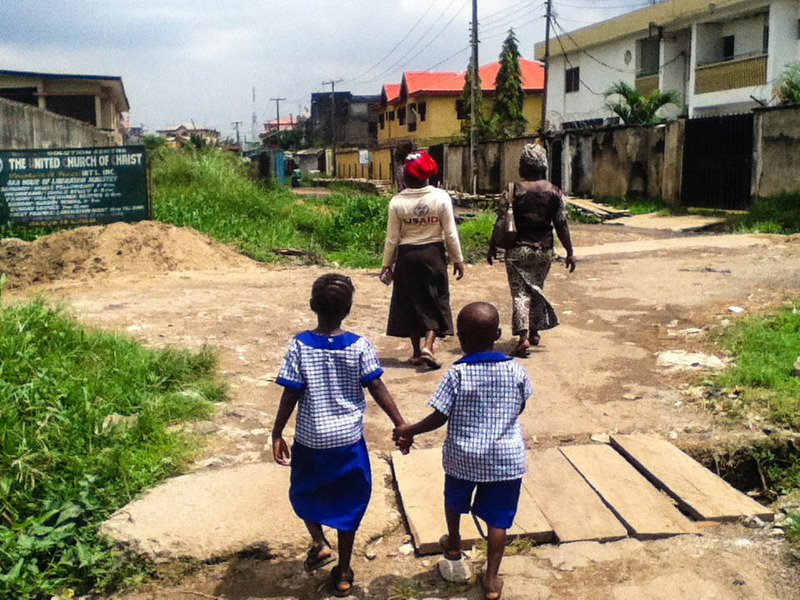 Volunteers have the opportunity to walk alongside local Care Workers in the poorest of the poor communities as they visit children who need love and parental care. Here, he tells the story of one of his first home visits with a Care Worker in South Africa. 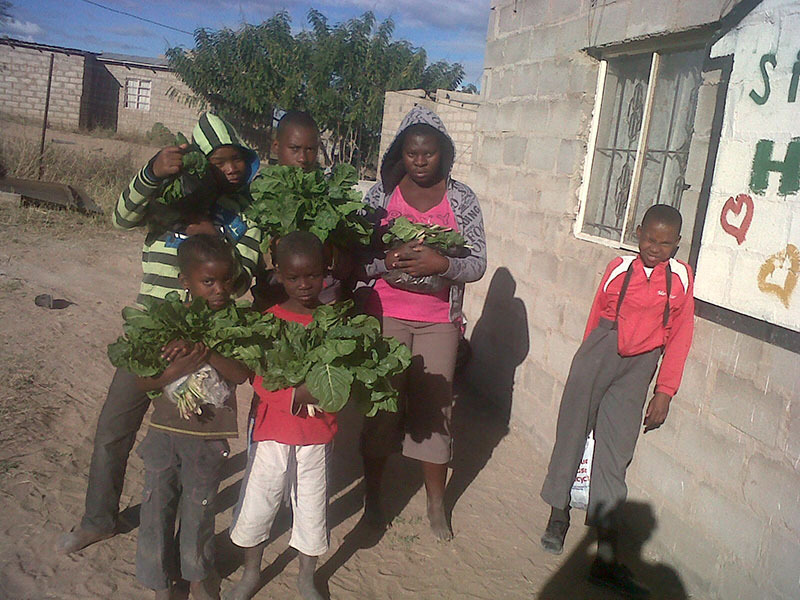 I recently did a home visit in a community in South Africa. I was greeted by an 11 year old girl with a big smile on her face. Her name was Lilian. I don’t know much of Lilian’s story but what little I do know is shocking. 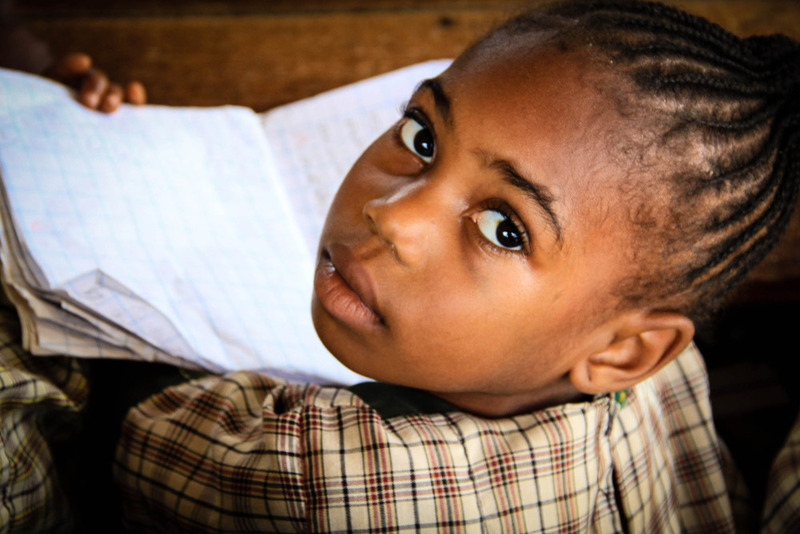 Lilian is 11 years old and is HIV positive. When you are HIV positive you are more susceptible to disease, and because of her HIV she contracted tuberculosis. One of her kidneys has also failed, so she only has one left. Lilian lives with her mother. Her mother is rarely home, so her aunt takes care of her. 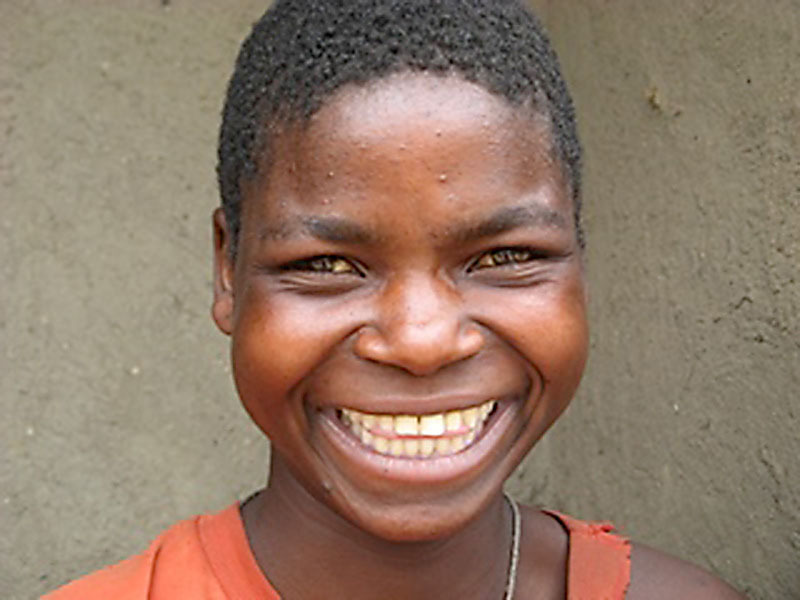 Her aunt told us that Lilian’s mother is given a government grant because she has a daughter. Her mother uses this grant to buy food for herself, and doesn’t care for Lilian. Lilian’s aunt can’t afford to buy medication for her, so she has no way of getting the help she needs. 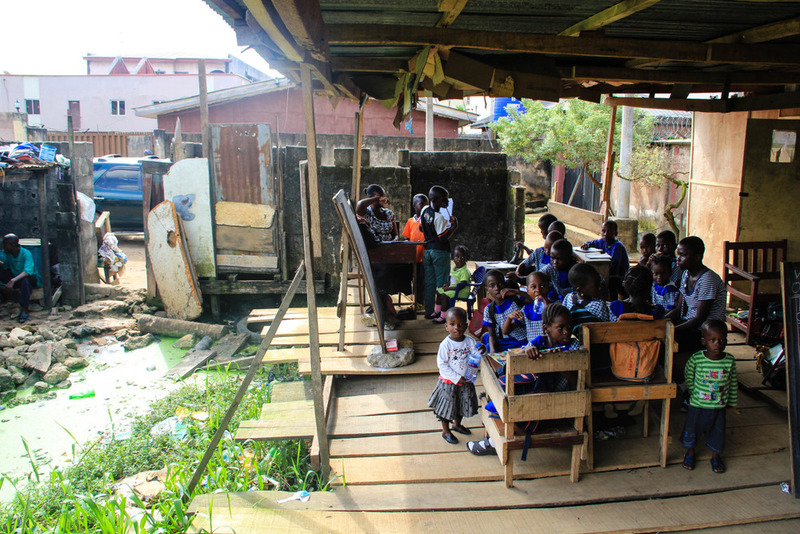 Despite Lilian’s health, she is still attending school. I would guess that she is doing well in school because of how much she understood what was going on, and how well she could communicate with us. Her favourite class in school is English. She told us that when she grows up she wants to be a nurse, so she can help other people who are sick. That answer she gave was truly amazing, because it really shows how big of a heart she has. Devon in Africa with a new friend (Note: child is not Lilian)Lilian’s aunt gave the Care Workers her medical report, and some papers that said how much her medication would cost. The Care Workers meet regularly, so at their next meeting they can present her report and potentially budget for Lilian’s medication. They will continue to visit Lilian on a weekly basis and pray with her and walk alongside Lilian in her struggle. Fortune (front, left) with his friends from Youth Program at the Care PointMncedisi Nkosi is more commonly known by his friends as Fortune. He is a teenager growing up in one of the poorest communities in South Africa. His story shows how a life can be transformed when people give what they can to the most vulnerable. I am Mncedisi Nkosi and I am 16 years old. I was born in a small South African community where I have lived my whole life. 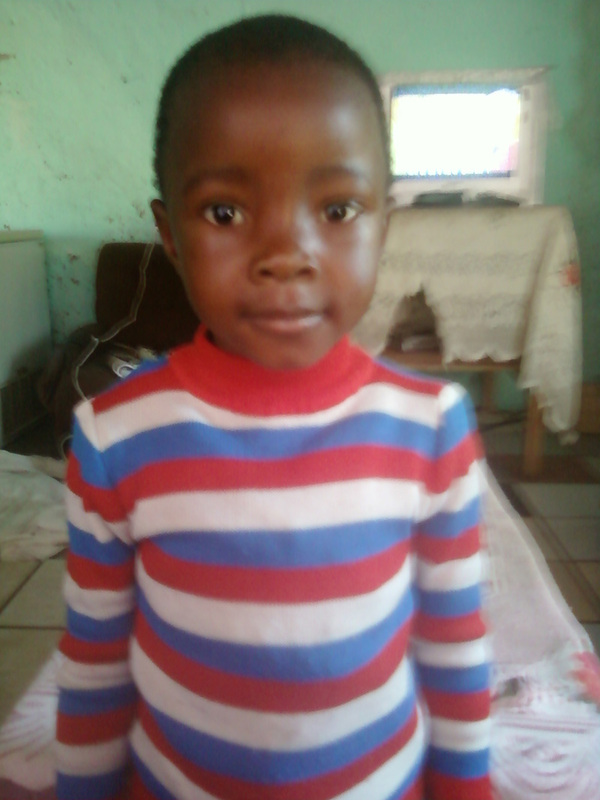 I have a sister, Siphokazi, 6, in grade 1, and a brother, Khanyiso, 13, in grade 8. I am in grade 11 and I especially enjoy mathematics. We stay with my grandma, Ester, who has been caring for us since our mother died. I’ve never known my father. I remember the day my life was rocked. It was November 23, 2006. I had left my mum at home that morning. She had been sick, but I felt comfortable leaving her as I thought she was recovering and getting stronger. The news I heard when I returned that day pierced my heart and the words “hospital” and “dead” echoed in my head. My body went numb. I wished I was dead too. The reality of losing my mother was too much for me to bear. I started withdrawing and having difficulties in school. Thankfully, I already knew God during this time and felt He was always with me. He showed me love through the people He put in my life like my grandma and my Care Worker, Lillian. With time, I realised that my life was worth living to the full and joy and laughter returned. People would describe me now as outgoing and social. I have been cared for by Senzokuhle Community Based Organisation for the past five years and have recently become a leader with the Youth Program there. I love singing and dancing and am actively involved with leading our worship times. I’m so glad I get to eat and spend time with my friends every day at the Care Point but it’s the visits from Lillian that have made the biggest difference to me. I feel cared for and know that my grandmother also feels supported in raising me and my siblings. When I am not involved with school and the Youth Program, I am working on my own business: wedding planning and video making. I feel I have a great drive and someday wish to be a businessman in Canada, America, or England. It’s hard to believe I once wanted to end my life and although my mother will never be replaced, I am thankful for the people God has placed in my life to encourage me and help me to dream! We thank God for knowing Fortune by name and bringing hope into his life after experiencing tragedy as a child. We thank our Father for the Care Workers like Lillian who have given their love to Fortune, becoming like parents to him. 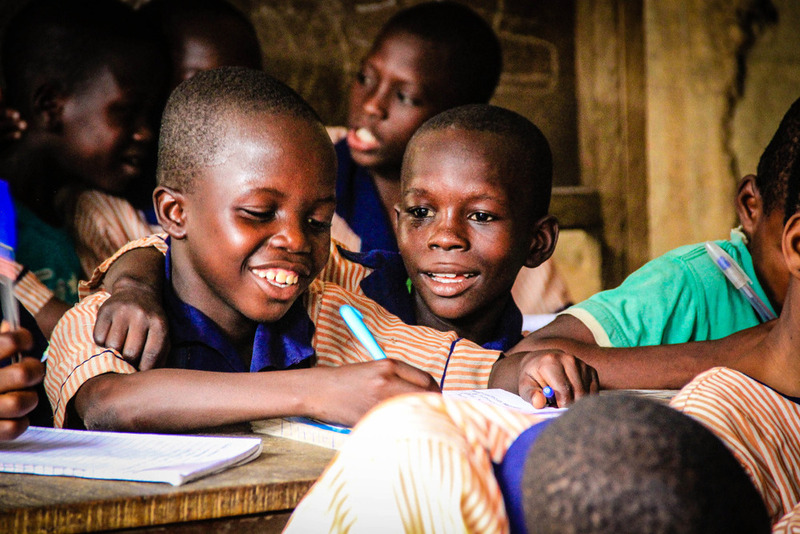 We thank Him for those who have given financial support, generously, so this young man can access education, basic health care, and food security. Jesus says, “Give, and it will be given to you” (Luke 6:38). 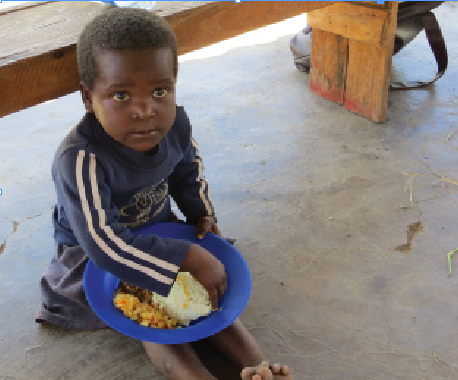 If you would like to give to support a child such as Fortune, learn more here. 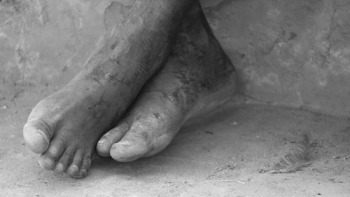 "Just washed Africa off of my feet….it was ingrained hard." Fortunately my Twitter conscience stopped me pressing send… firstly because quite frankly it’s pretty gross to talk about my skanky feet, and secondly I had this philosophical sense I was actually saying something deeper. Truth is you can’t just wash Africa off your feet (metaphorically speaking). Or maybe you can, but you shouldn’t. I first went to South Africa in 2010 and although my time there was good, I didn’t fall in love with Africa. Over the last few years I’ve flirted with Africa a few times but still no love affair has been ignited. The last fortnight is quite possibly the closest it got though. That’s exactly why I shouldn’t wash Africa off. I need Africa and Africa needs me. Let’s get back to my skanky feet for a second. I hate wearing shoes in summer and I honestly think it’s quite biblical to don that natural bare foot way, but the result of that is you end up with hard, crusty, dirty feet. Attractive, eh? When young Jewish boys were in rabbi training (I’m sure there’s a more correct term for that!) they would follow their rabbi, learning everything they could from him. In recent years there’s been a lot of church talk around ‘walking in the rabbi’s dust' based on an old rabbinic quote. Acts 22:3 references 'sitting at the feet of the rabbi’. The whole idea is that to truly become like someone you have to follow them closely, be influenced by them and remain close to them, so close that their dust covers you. And that’s why I need the dust of Africa on my feet. Africa and its people have a lot to offer and teach us. 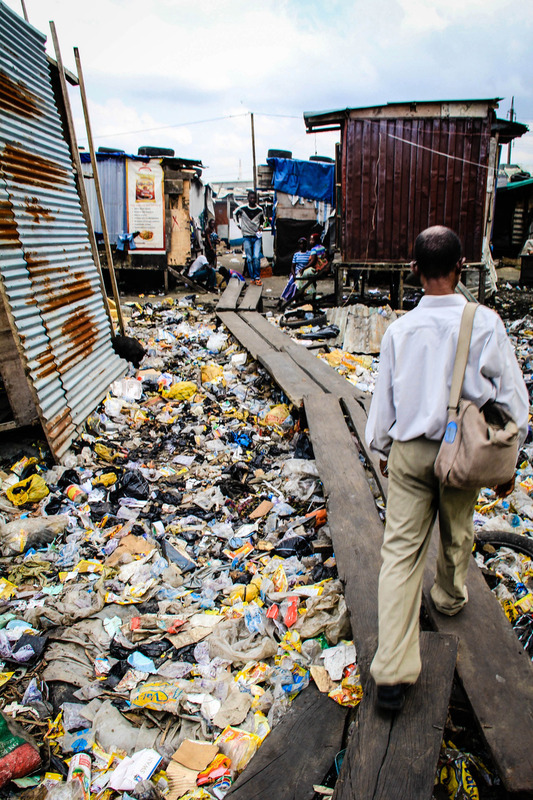 You want to know what poverty really is… go to Africa. You want to know what pain feels like… go to Africa. 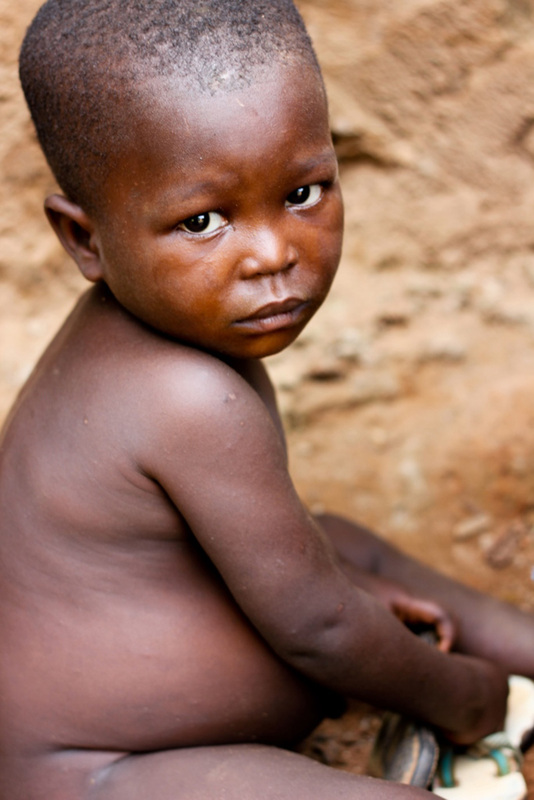 You want to see joy in the midst of sadness… go to Africa. 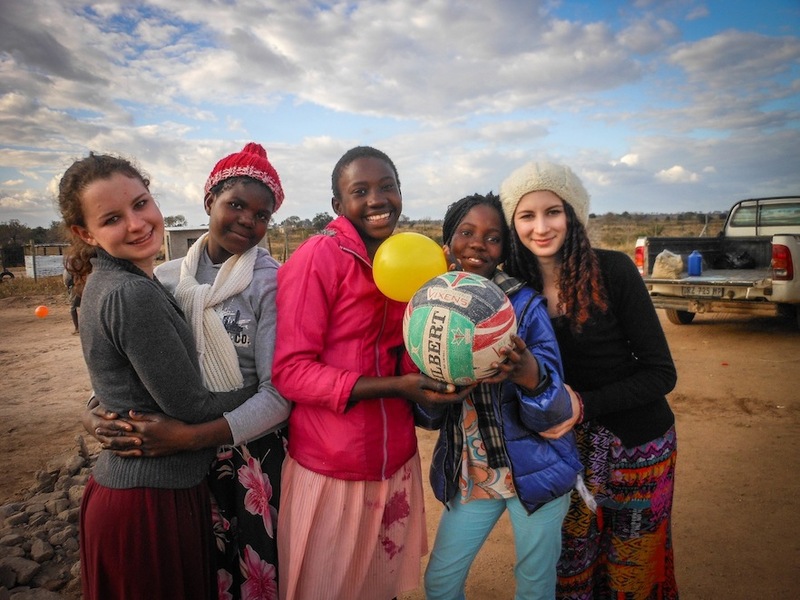 You want an insight to God’s heart… go to Africa. You need the dust of Africa on you. It might not feel nice, it might get dirty, but you have to go. As for me, I will look forward to my next bare foot date with the African continent, and in the meantime you’ll find me with my feet in the foot spa and pumice stone in hand. Today I want to do something dangerous. I want to try to define short-term missions, or teams coming to visit Hands. Why are we doing it? What does it actually mean? Maybe I should just say what it does not mean. 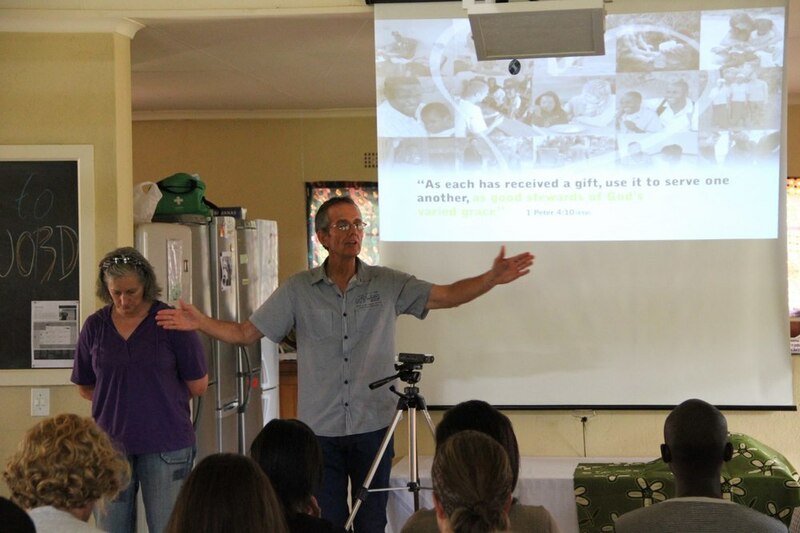 It's not a missional experience that we are trying to create, or a sort of short-term outreach that is good for a team to go on as an experience and say "I can tick the box of being in Africa". Rather it's a sacrificial, well planned commitment in friendship through servanthood. It is ongoing, bringing healing and maturity and encouragement to both those going and those receiving. Those going are saying, “Because I understand that love is not expressed in words but in deeds.” Those receiving are saying "I am blessed because I am not forgotten. I'm known by name and I have hope. 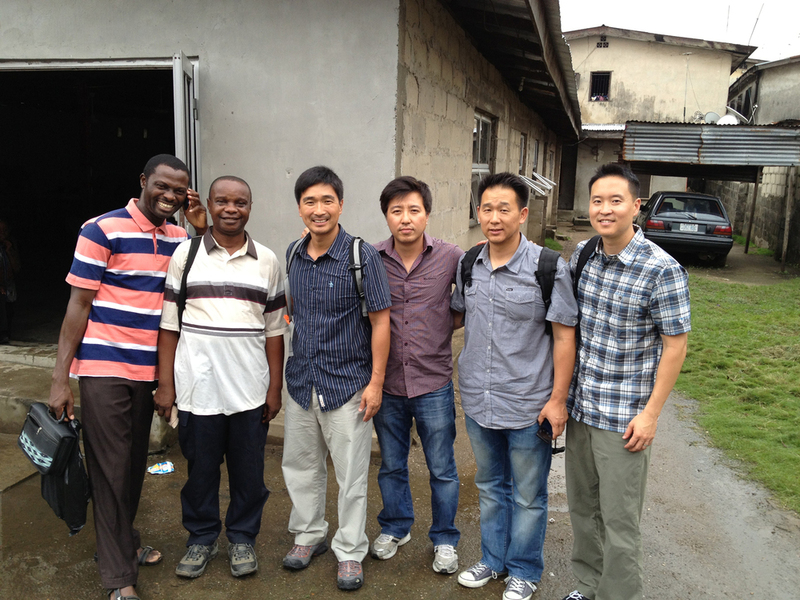 Many people are coming here to help me, encourage me, and they receive healing themselves." Initially when we come to Africa it is difficult for us to understand that “me” and “my time” are actually the best gift I could give Africa. Me, as a person, and my time. It's so hard for us to believe this is really the best we can give when meeting all the amazing people in Africa and experience the pain and suffering in the villages where we work. I was recently told a story about one of our Care Workers in one of the communities where we work. I was told how the words of Jesus in Matthew 25 came alive to her. The words, "I was thirsty and you gave me something to drink. Whenever you give even a cup of water to one of these little ones …" It revolutionized her whole life and the way she cared. She confessed that now when she gets up in the morning she gets up and she looks for opportunities to have an impact. She looks for opportunities to reach out, even if it is only a cup of water to one of the most vulnerable children. It went further. One night, late, there was somebody knocking at the door. Initially she thought she could never open it up and put herself at risk. Again the scripture came to her. What if it is somebody that you could help, somebody that is in need? She opened the door and it was a vulnerable and orphaned girl from one of our communities who was kicked out of the house where she stayed. She had nowhere to go that night. This young lady who had this wonderful revelation of the word of God, took her into her house and she kept her there. In the morning she went to the hut where this young girl was staying. She dealt with the dispute that there was and why she wasn't welcome there anymore. She said it changed everything between her and this girl. This girl now trusted her at such a deep level. There was such a strong bond between the two of them that it gave her a beautiful opportunity to become deeply involved in her life. Yes. These are stories that we hear at Hands at Work very often. It's beautiful. Of course we all know these stories are contagious. We've seen through the years that relationships are the core ingredients that change everything. We see people coming together from different cultures, different educational backgrounds, different thinking. And as they knit their hearts together in the dusty roads in Africa, and they meet the children, there's something beautiful and lasting in both their lives. A part of the Hands Vision has always been that we want to serve the body of Christ. We believe in the body. We believe in the church. We especially believe in the young people coming to Africa and sending them back to take their rightful place as upcoming leaders in their communities and churches. The volunteers who have been with us from years ago, and a bit more recently, I have met on my journeys when I go to their countries and speak. Some of them come back to Hands and they share their lives with us. Their voices become tender and soft when they start sharing how grateful they are. They don't take things for granted anymore. They came to understand and ask “What is the difference between me and the people in Africa?” That's a humbling experience. It's also liberating. It sets you free and gives you a purpose to live a life that's continually blessing people around you, not just in Africa, but even in their own community. You are compelled to get involved in the lives of broken people around you. I was recently in Australia with one of our church partners who has been with us for more than 10 years. The fire is still burning so high in that church. I asked the pastor, “How do you do this? How do you keep the flame alive? You are so compassionate about Africa. Every year teams are coming. Your involvement is amazing. Young people come to serve. It's incredible and it doesn't slow down its actually growing.” The pastor looked at me at that moment and very clearly said to me, "George, we are not good for Africa. Africa is good for us. Africa's impact in our church is so big. All of us know that it has played a huge defining role in helping us grow to maturity - to go and see and to go and learn - going to meet people by name. When they come back it brings purpose, it brings maturity, and it brings life." Missions don’t exist because there's a church. Churches exist because there are missions and because all of us live to worship our Father and to make His name known. What an incredible privilege to do that in the place where the pain and brokenness and the suffering is at its worst. Surely, surely that is getting very close to our Father. 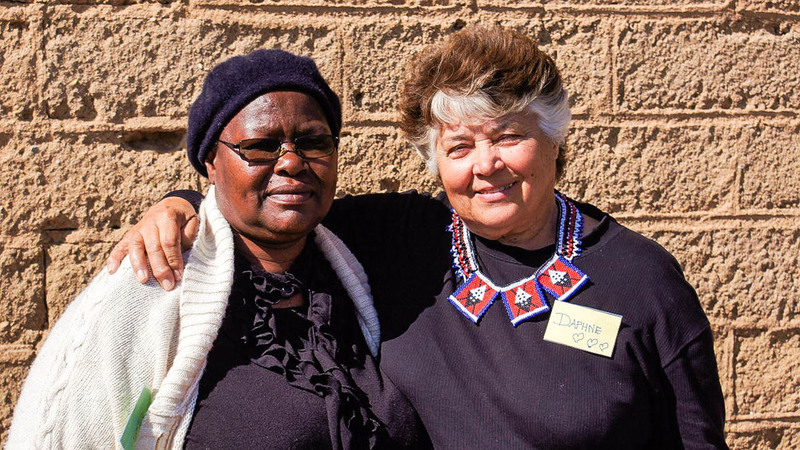 Hands at Work’s vision is to see the local Church in Africa effectively caring for the dying, orphaned and widowed, and unified in this mission with the Church outside Africa. Greenfinch Church in Ipswich, UK has been partnering with Hands at Work for four years. Chris Bedford, the pastor of Greenfinch, shares his story about a special young boy who broke his heart and transformed his life – and that of his church. “I guess there are just a few moments in life when something strikes you so hard that you feel totally powerless and useless. Back in 2011, on our s A sullen three year old Chatty during Chris' 2011 visit. econd day of home visits in the community of Chilabula, the harsh realities of everyday Zambian life hit me like a runaway freight train. Several homes had been visited the previous day and already it was clearly noticeable was that there was a distinct lack of young men everywhere we went. All the families visited were led by women and the 20 to 45 year old men were simply missing. There was talk about how many had been lost to illness (no-one ever mentioned “HIV”). It had the potential to be overwhelmingly sad and yet somehow, it didn’t hit home too hard. But then it happened. Having walked quite some way through the bush, we arrived at a clearing where a typical African house was located - straw roof, mud walls, surrounded by a sandy, barren area. On the ground lay an older man, unkempt and distinct, wearing a huge thick coat despite us sweltering in the 33 degree heat. He sat up but wasn’t for talking much. This old grandfather had been left to bring up four children, despite his struggle to even look after himself. 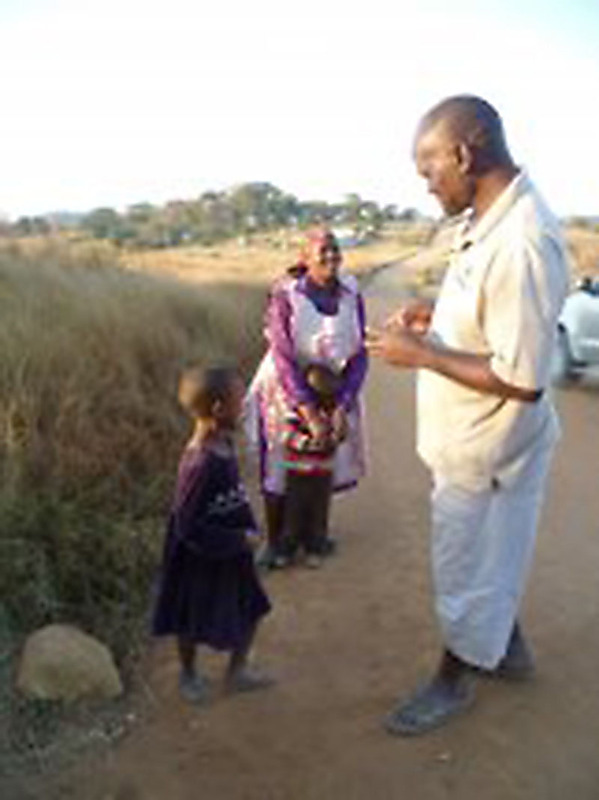 His two youngest children; Chatty, 3, and Cosmas, 6, where adopted by the Chilabula Community Based Organisation. The children were not at home, so their Care Worker set off to find them. Soon, the two boys came out of the bushes into the clearing. That same morning we had played with kids who looked just the same as these children - no shoes, ragged clothes, but who played with great joy and gusto and huge smiles. However, these two were different - shoulders slumped under deadpan faces. They sat down and we tried to engage them in a game. Eventually, there was the merest flicker of a smile from Cosmas - no more than a flicker - and yet enough to stir hope in me for him. Chatty, however, was a different story. His face never changed. It was sullen, fearful and confused. I feared that there was nothing that would make him smile. Then the harsh truth emerged. His mother had died just three months previously, leaving him with his three older siblings and a grandfather. How does a child so young even begin to comprehend where his mother is, or who will take care of him, or where his next meal is coming from? Perhaps even worse than this, where does he get hugs from and who kisses him goodnight? This one child, Chatty, broke my heart. Can we stand by and simply watch this happen? As Matt Redman wrote “there must be more than this”. I walked away from that situation and for over two years, this little child haunted my thoughts. Why didn’t I embrace the boy? Why didn’t I just grab him and hug him? Has my own culture knocked out of me the sense to love a lonely child? Why didn’t I try harder with him? What made me sit around and simply watch? 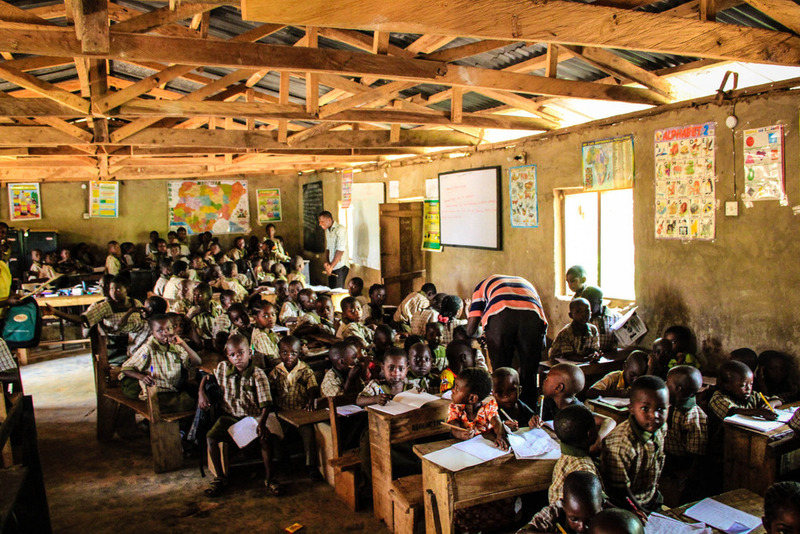 Now in 2013, we went back to the rural village of Chilabula. We arrived at a house that I did not immediately recognize, but Burton, a local Care Worker told me that it was Chatty’s hous e. I was immediately both excited, and apprehensive. This time, however, I was determined not to miss the opportunity to move beyond just seeing him. I would embrace him. We walked up to the house and I spotted Chatty, sat on the floor with his twenty year old big sister, who is also looking after her own child. This time, Chatty seemed more comfortable to visit with us. Chatty still looks a little serious, even sullen, but things are definitely different now. Just like many other Zambian boys, he was happy to play with us and showed us his plastic bag ball, neatly banded together. Burton spoke to Chatty and asked him “Do you remember this man” at which he nodded his head in affirmation. I was blown away that he could remember me. But why should he? We did nothing out of the ordinary to help last time, and yet he remembered. I tried to do what Dads do and I put my arm around him and tried to make him smile. It worked, and suddenly everything made a little more sense and felt worthwhile. Of course, this child was depressed and confused two years previously when his mother had so recently passed away, but today, we could see change in his life. The love, support and care that Burton and the local Care Workers have shown Chatty, along with the support of his older sister have transformed this little boy. Chatty still has a long way to go in his life and it takes a bit of time to see a smile, but the life in him is slowly emerging. 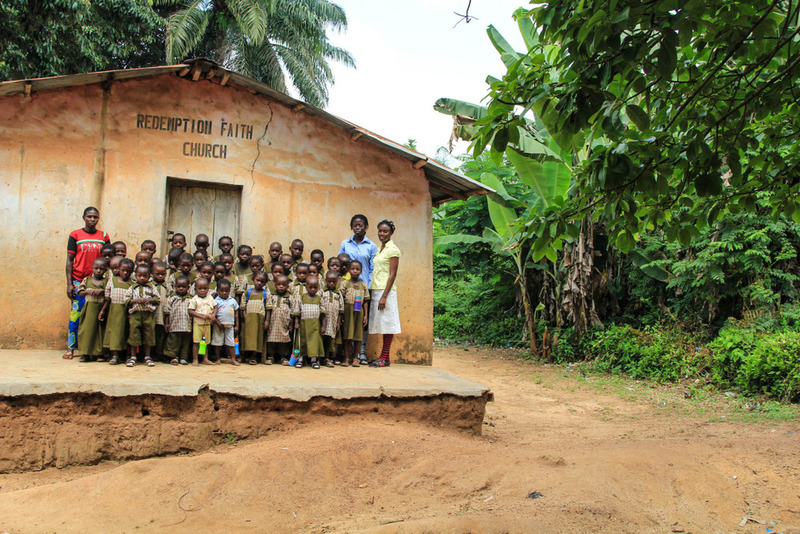 Chris and his church consider the community of Chilabula as part of their family, congregation and ministry. Every week, they pray for the community and the children they know by name and they look forward to the next opportunity to visit them. To find out how you and your church can be a part of reaching vulnerable children across Africa, contact your local Hands at Work office. Every so often we see something that inspires us and lets us know that someone else has felt the very thing that we ourselves have felt in the core of our being. In this case, we were blessed by one of our own. Alicia Krawchuk was a volunteer with Hands though 2013 and we are incredibly blessed by her being with us and by her creative mind which resulted in this video: daily good. 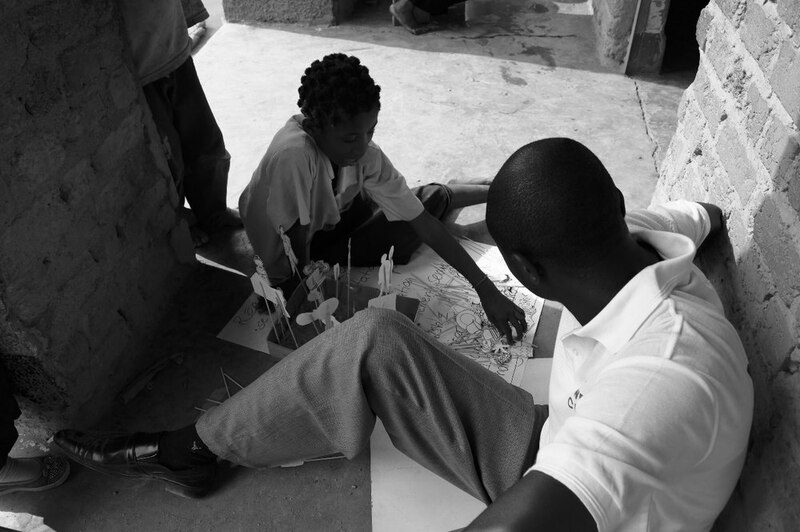 daily good from Hands at Work in Africa on Vimeo. People make the world good or bad. Bad things happen to good people daily, but still some people remain good despite all the bad they have endured. I stayed with this family. They were loving, kind, generous and welcoming to me daily. 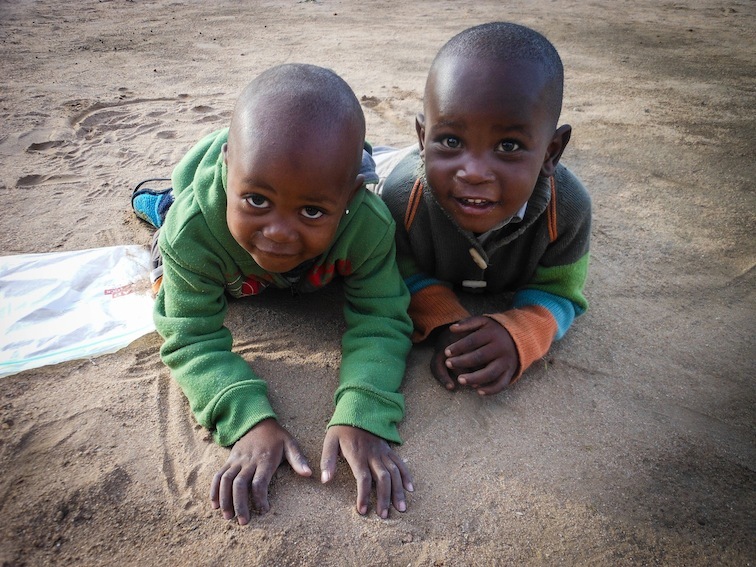 Abandoned by their father - mother and grandmother died of aids - they survive on so little, but still they gave me so much. Women in this community stand together to feed 50 vulnerable children daily. These women have so little and still, they give so much daily. Now there is hope for these children. Now there is hope for these children because good people are doing good. If the good people in these communities stand together, maybe they can break this cycle. 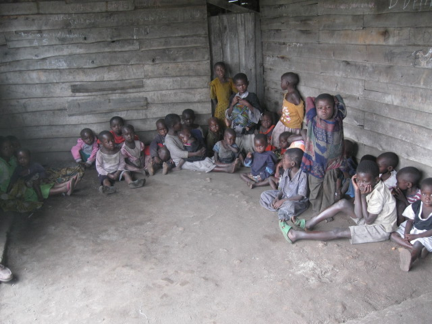 Good people caring for each other daily will help these children to climb out of poverty. I've met so many good people - heard so many stories - that make me want to fight for good! for God!